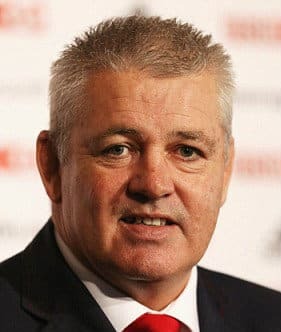 Warren Gatland is one of the world’s most recognised and respected rugby coaches. He began his coaching career as player/coach for Taupiri in 1989. He joined Connacht in 1996, where he led them to the quarter-finals of the European Challenge Cup in 1998. Between 1998 and 2001, Warren held the position as Ireland coach. He then joined the coaching staff at London Wasps and helped steer them clear of the relegation zone and develop one of the meanest defences in Europe. In Europe, he won the Challenge Cup in 2003 and the Heineken Cup at Twickenham in 2004. In the 2004/2005 season, he left the UK to return to New Zealand, where he was took up the position as coach to the Waikato Air New Zealand Cup team. In 2009 he was again in action as forwards coach to the British & Irish Lions as they slipped to a thrilling 2-1 series defeat to South Africa. In 2010 Warren signed a new four-year deal with the Welsh Rugby Union – keeping him in command of the national side until the conclusion of the 2015 Rugby World Cup.